Have you ever heard people talk about employees at their workplaces are happy, engaged, calm, collaborative, productive, creative... and wonder if it's true? Really? Are people at work really that happy and healthy? Is that even possible in your work environment? Sometimes I hear my clients and colleagues working in industries such as oil and gas say it might be possible for that company, but not theirs. The belief much of society has is that work must be stressful and chaotic. Managers must be authoritative in order to make employees do what they need to do to get the job done. Helping employees be happy and fulfilled is not the company's or manager's responsibility - do it on your own time. Deadlines and budgets are more important than ensuring an employee is feeling OK. Time is money. Business is money. This business is tough and if you can't handle that, leave. And we have an EAP anyway, so what's the big deal? We are helping our employees be happy and healthy. However, we often hear employees say, "TGIF!" Every week. And their unhappiness is not helping business. I believe it is absolutely possible to have a harmonious and happy workplace in any industry or workplace. I also believe work in any industry can be messy and workplaces are dysfunctional. What I don't believe is that an employee must decide whether they want to tough it out every day, slogging through the daily pressures of messy work and potentially cranky customers or colleagues, or leave and take a 'less stressful' job in order to have a good and successful life. Why must anyone choose between work and happy?? This, to me, is like telling a woman she must choose between work and family. Of course you can have both! And being happy at work is not only possible, it is what will create a more effective workplace and more fulfilling life. Note: Happy does not mean always elated, laughing, and smiling. Happy means fulfilled, content, and at peace, which results in engaged, collaborative, and confident. So the question remains... HOW can such a messy, stressful, dysfunctional workplace create a happy, healthy atmosphere and culture? The process for culture change is looonnnnggggg. Leadership needs to be hugely committed. Every decision needs to be aligned with the culture you are seeking. There will be ups and downs. Transition of culture will often mean transition of staff. However, there is no better way to change your environment than by changing yourself. 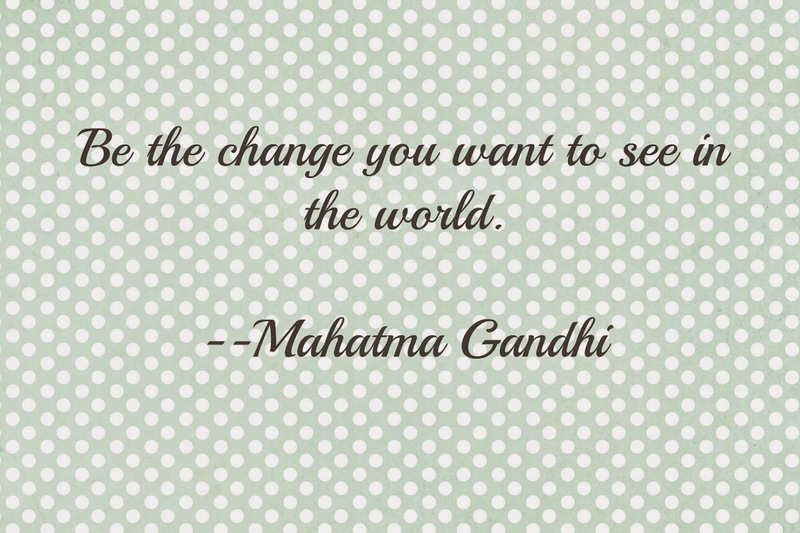 When you begin to 'be the change you want to see in the world,' others begin to change around you. When they begin to change, others change around them. It's the ripple effect. There is no quick fix for making an unhealthy or toxic culture healthy and productive. However, you can quickly begin to change how you respond to your work. I challenge you to begin by taking the words 'I am stressed' out of your vocabulary. Instead, you can say, 'I am dealing with a stressful situation, and I allow myself to be in it without feeling anxious/ stressed/ overwhelmed/ angry/ agitated/ insert negative emotion here.' Instead of reacting with feeling stressed, take a moment to breathe. Go for a walk (walking to the bathroom helps). Yes, count to 10. These things all work by inducing a calming effect and are a great place to begin. However, to truly make a change, you must understand what the trigger is and why it triggered you in the first place. Otherwise, you will continue to be triggered and will have to do a lot of counting. This is where mindfulness can help. Reflecting on the situation and identifying a more helpful and positive response will help change how you will respond the next time. For true organizational culture change, I recommend going through a program of assessment, clarity, development, creation, and transformation. The Create Your Culture program does that. However, no matter what role you have in your organization, you can begin with you.